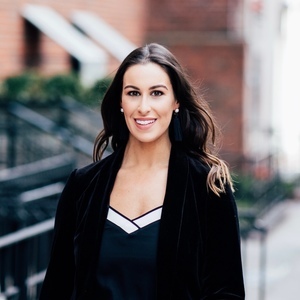 Dynamic New York City real estate professional Lauren Feldesman specializes in elevating the real estate experience for her loyal, high-profile clientele. With a tireless work ethic and a laser-focused attention to detail, there's seemingly nothing she won't do to help ensure success. For Lauren, "above and beyond" is simply the norm. Known as a trusted advisor and a fierce advocate, clients appreciate Lauren's straightforward approach and her exhaustive knowledge of the city's neighborhoods and inventory. She knows that time is a precious commodity, so she does everything possible to make sure the process is efficient and effective. It's no surprise she's racked up more than 200 transactions in just her first four years in the business. Prior to real estate, she honed her top-notch communication skills in working in various parts of the entertainment industry including film/TV development and production as well as talent publicity. Lauren also spent time living abroad in London and traveling Europe extensively.